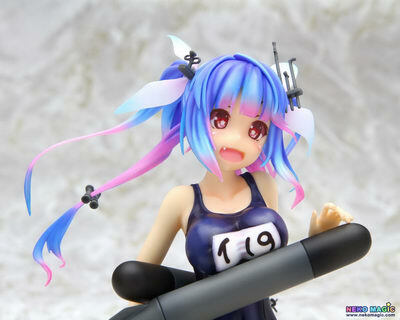 May 23rd, 2014 By: GGT Category: 2014/09 release, Figure News. 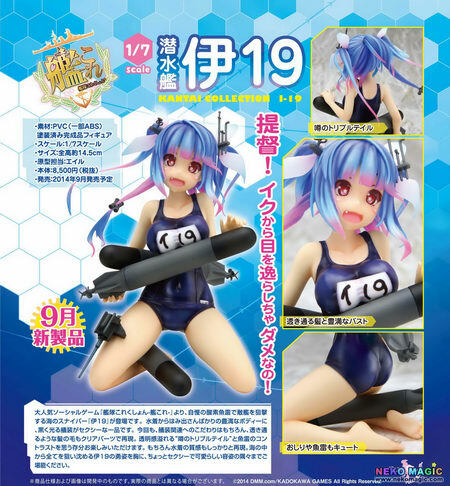 Funny Knights (Aoshima) is going to release the I-19 ( 伊19 ) 1/7 PVC figure from the popular web game “Kantai Collection” ( 艦隊これくしょん ) developed by Kadokawa Games. Will be released in September 2014. 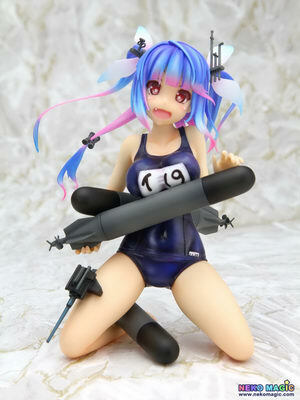 Around 145mm tall, 8,500 yen.